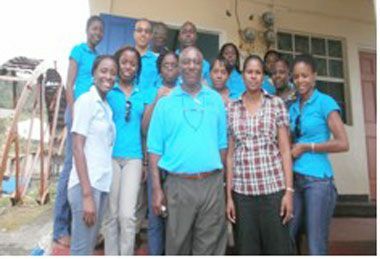 JCI St. Vincent (Jaycees) has a legacy in Fancy, as the organisation built the Fancy Clinic as a humanitarian project to the community of Fancy. After its completion on June 30, 1981, the clinic was handed over to the Government of St. Vincent and the Grenadines on May 16, 1982. Since that time, the organization has always kept a close relationship with the Ministry of Health and the Fancy community. The fully furnished clinic continues to be of great service to the Fancy Community, by providing medical assistance to persons as well as providing living accommodation for visiting doctors and health personnel. JCI St. Vincent (Jaycees) continues to support the Fancy Community and the other communities within St. Vincent and the Grenadines, as they continue to show their commitment to the 6th Tenet of the JCI Creed âThat service to humanity is the best work of lifeâ.